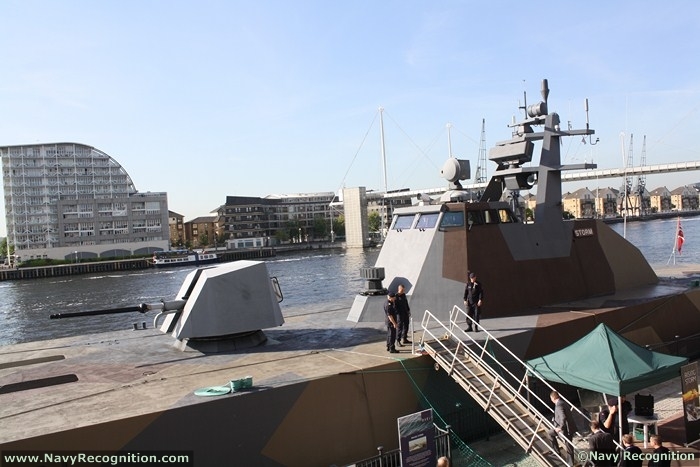 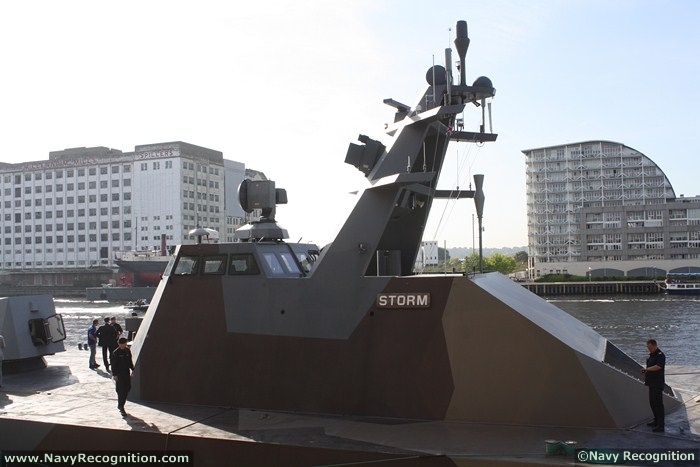 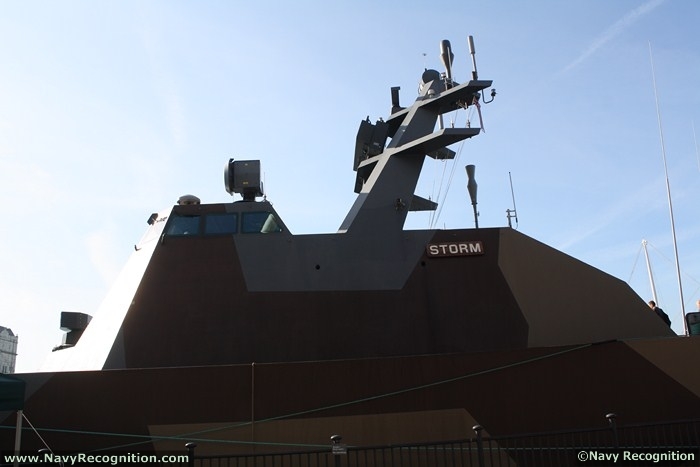 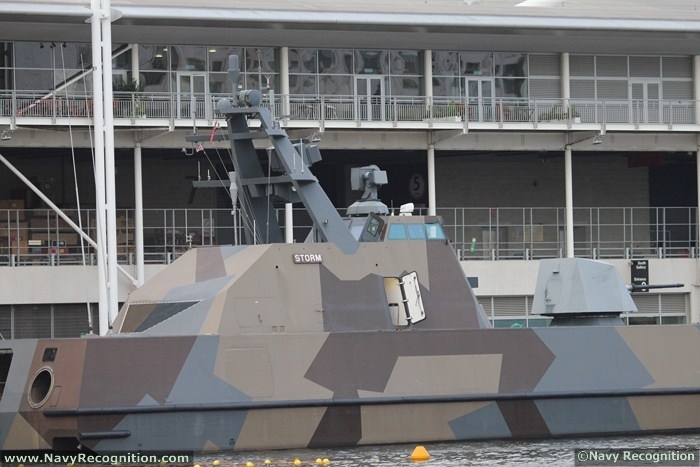 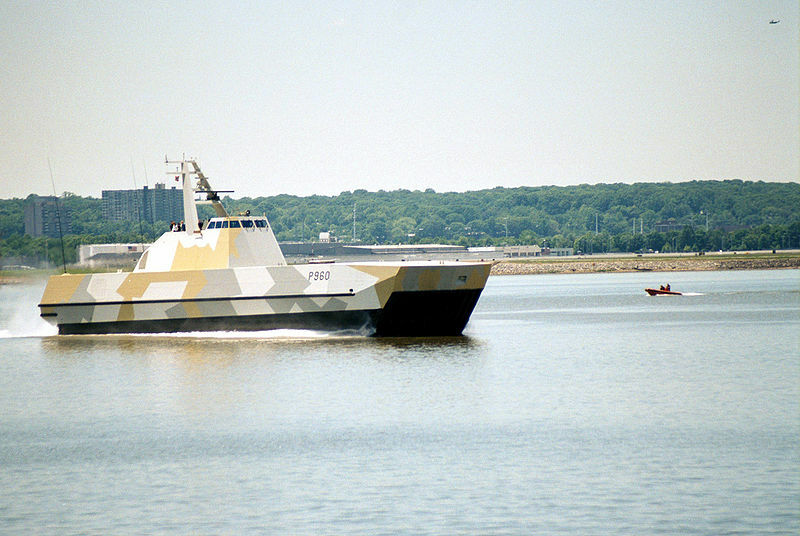 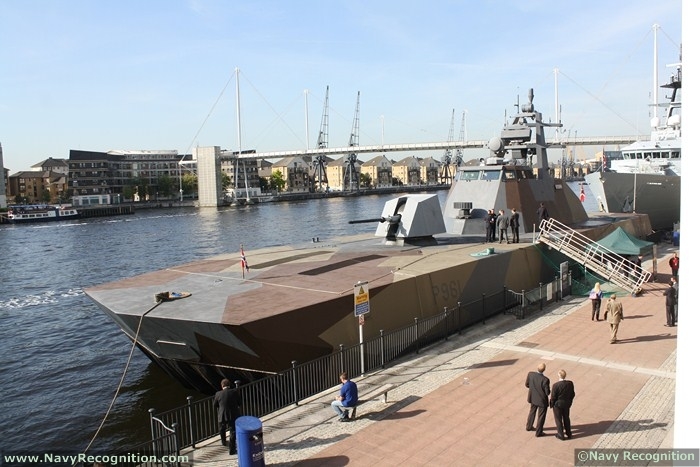 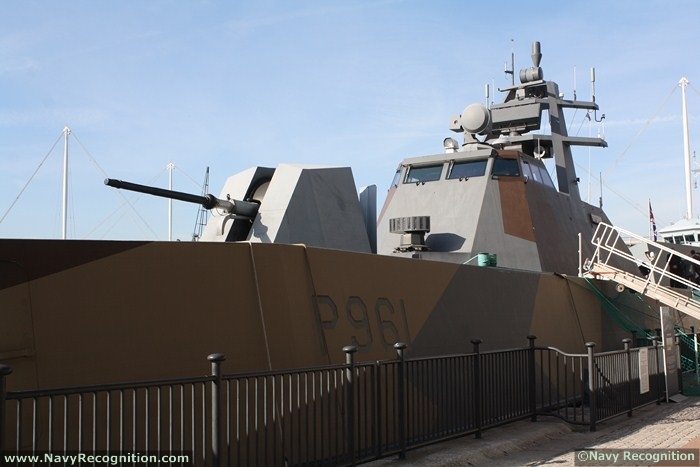 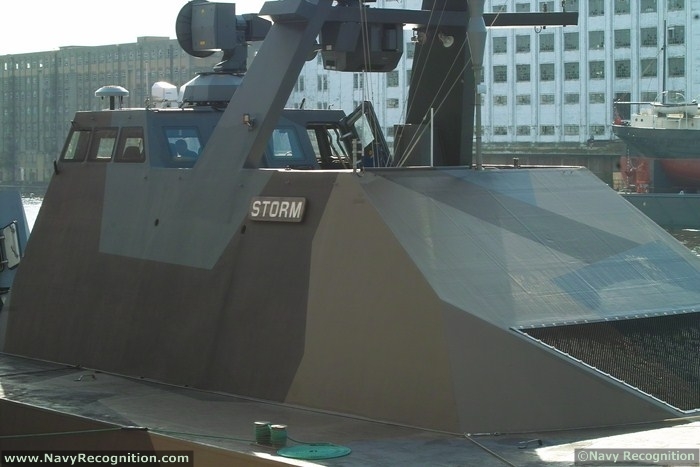 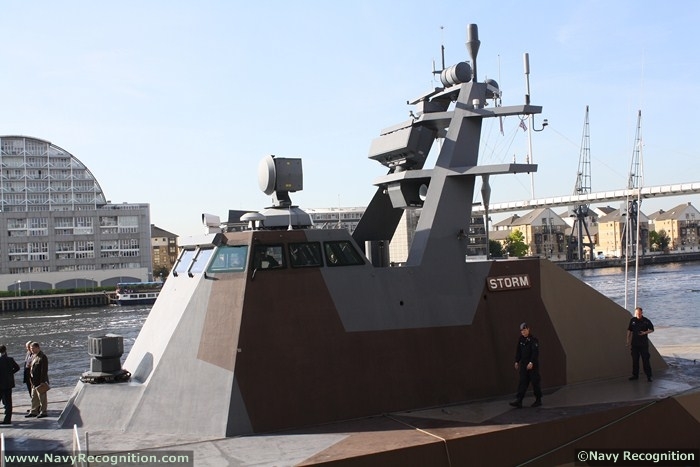 Designed and built by Umoe Mandal, the Skjold class corvette is engineered for littoral combat and surface operations in coastal waters. 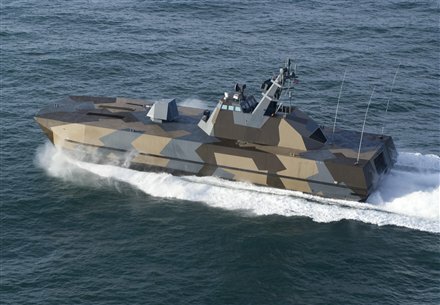 While light in displacement (274 tons) the Skjold class are armed like a frigate ship, present many stealth features and are capable of high transit speeds. 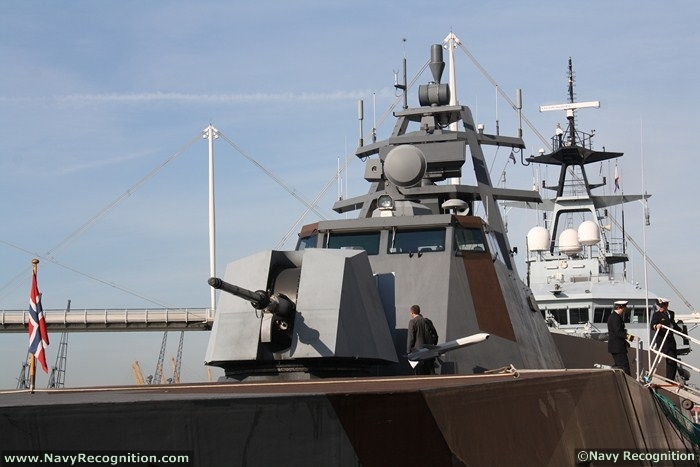 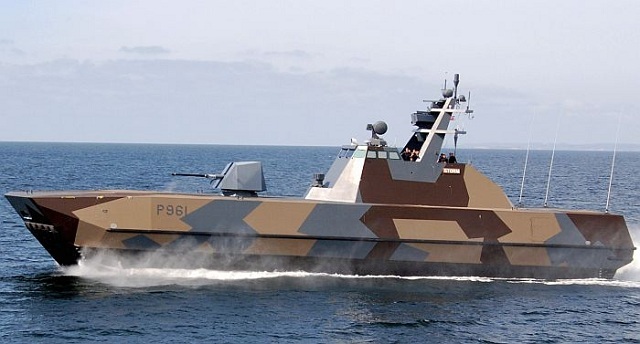 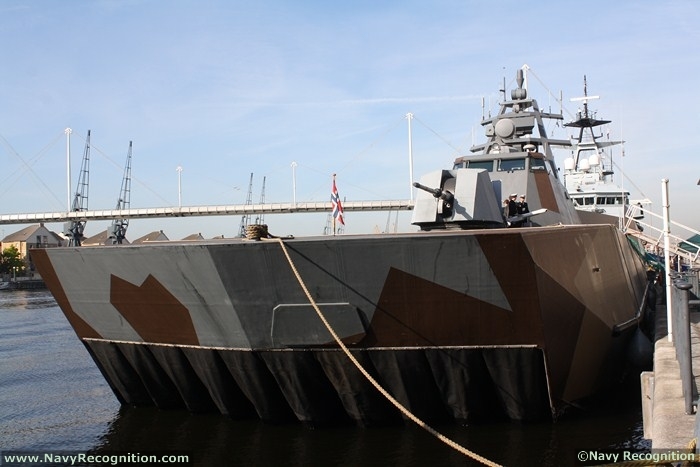 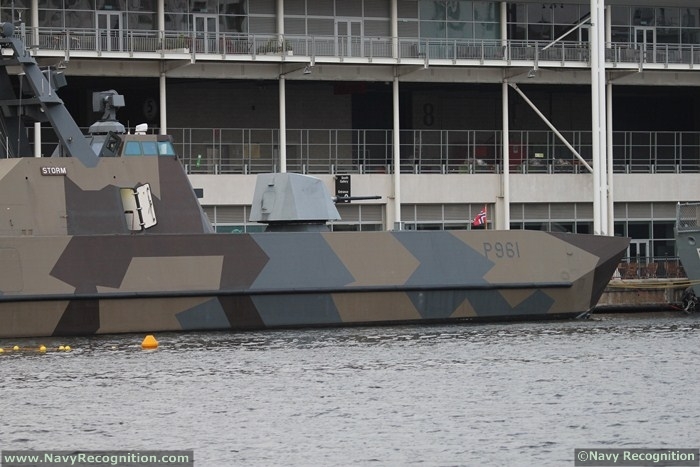 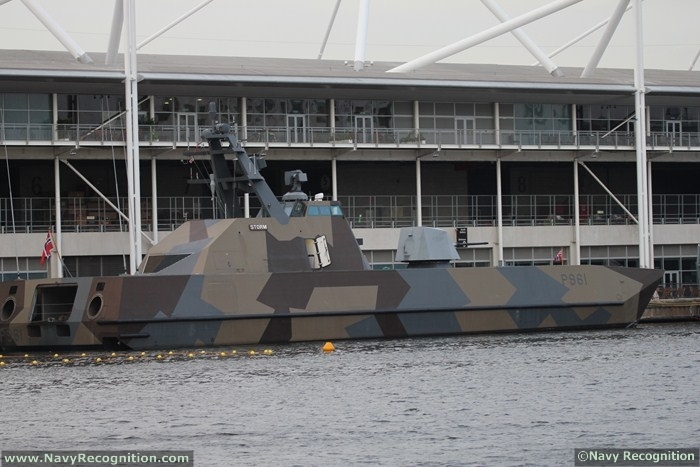 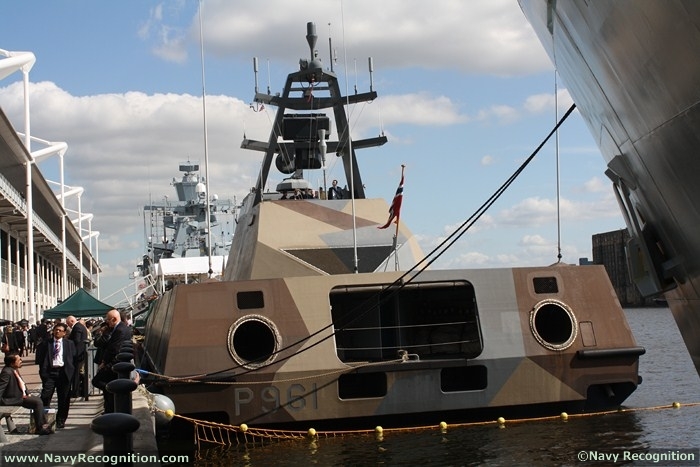 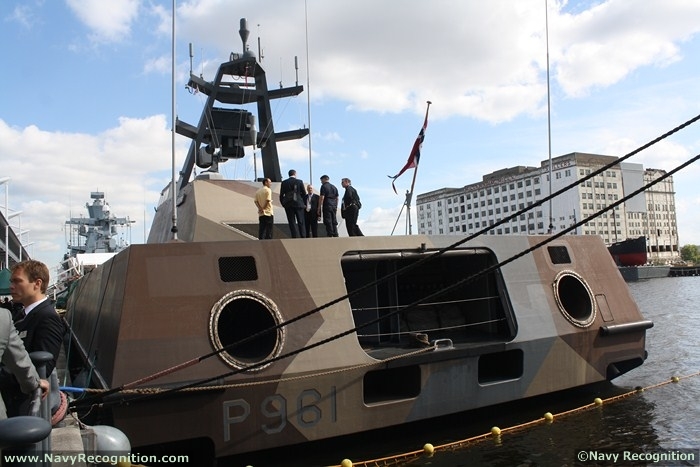 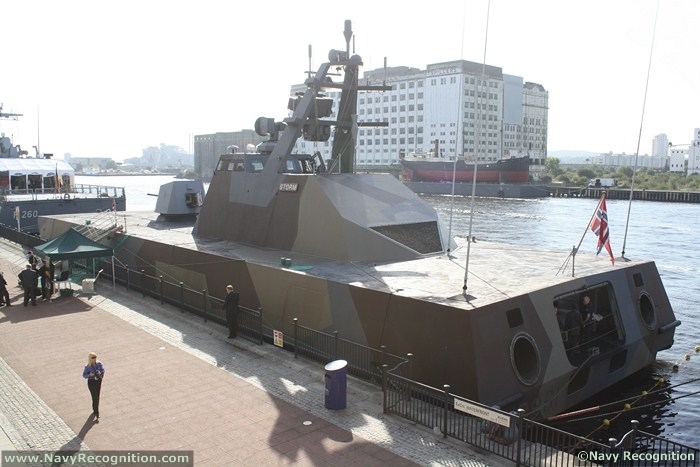 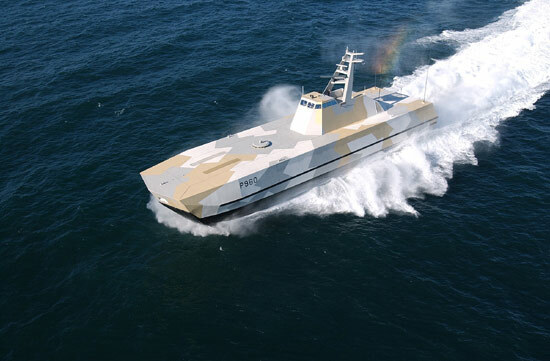 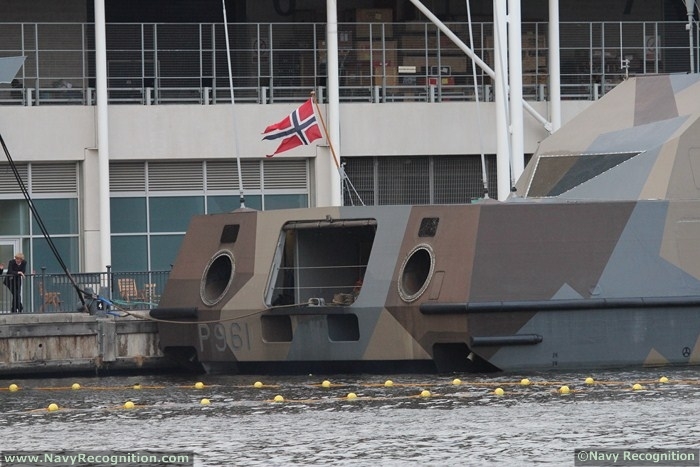 While they should be classed as Patrol Boats, the Royal Norwegian Navy officially label them as coastal corvettes. 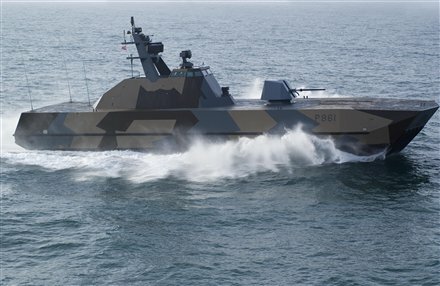 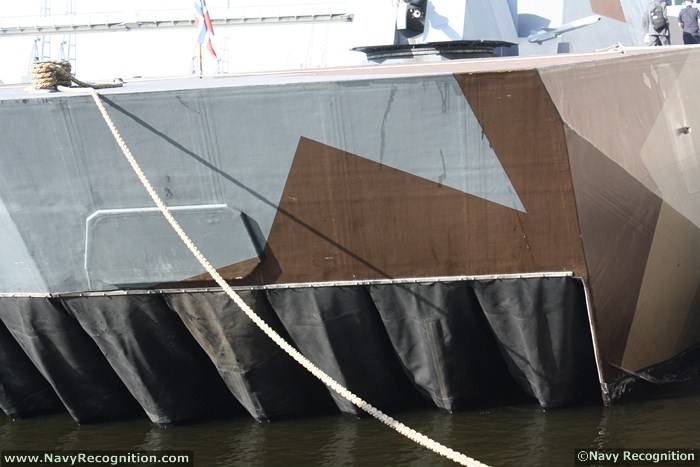 Composite materials used in the ship's construction are one of the unique specificities of the Skjold class. 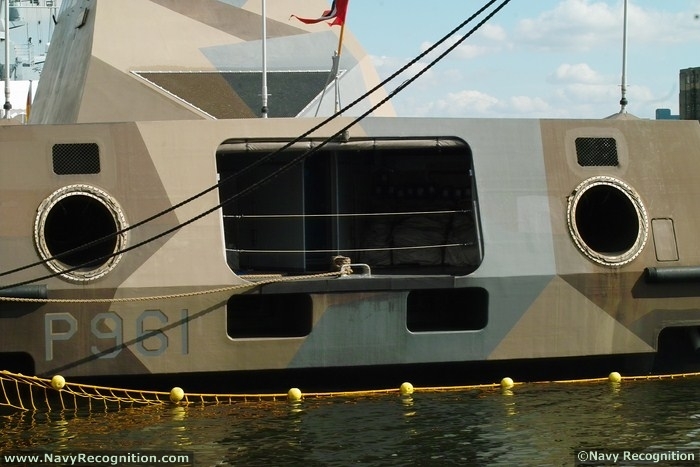 Those materials allows the ship to be very lightweight. 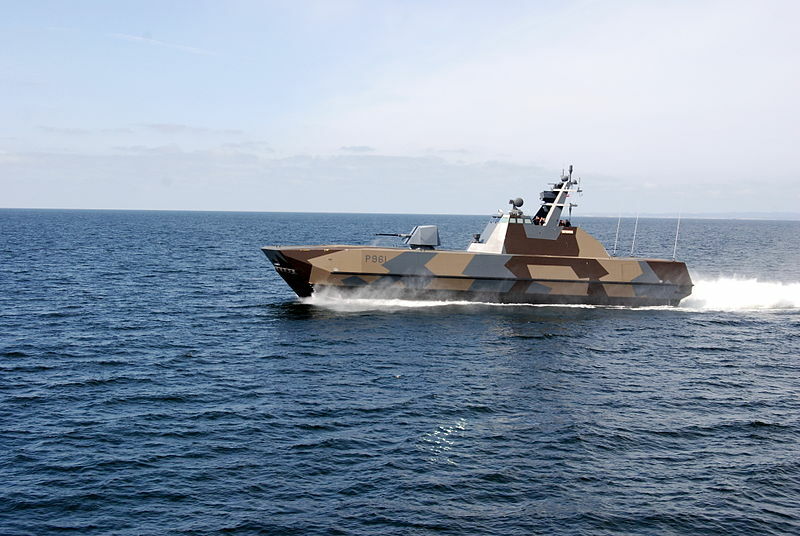 Skjold will float high in the water not only providing it with excellent sea keaping capabilites but allowing the ship to access very shallow waters denied to other vessels. 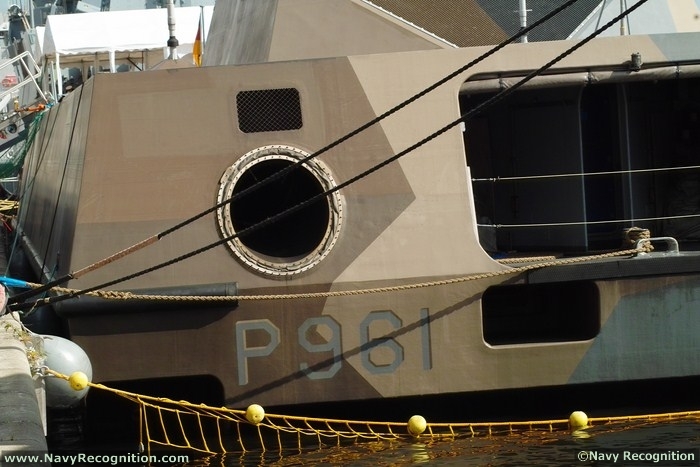 (thanks to a draught of 0.9m). 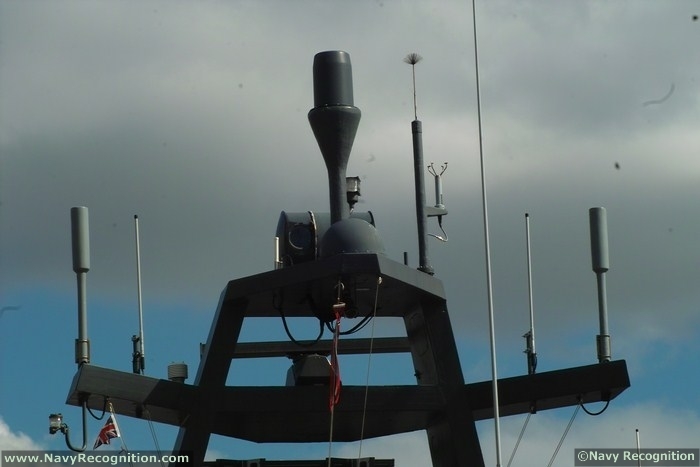 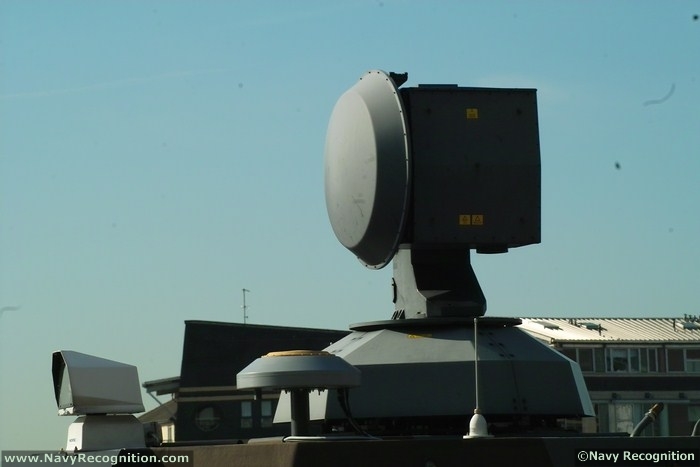 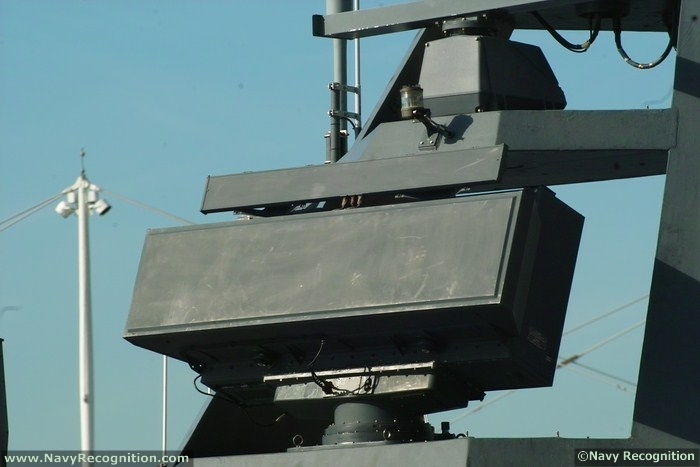 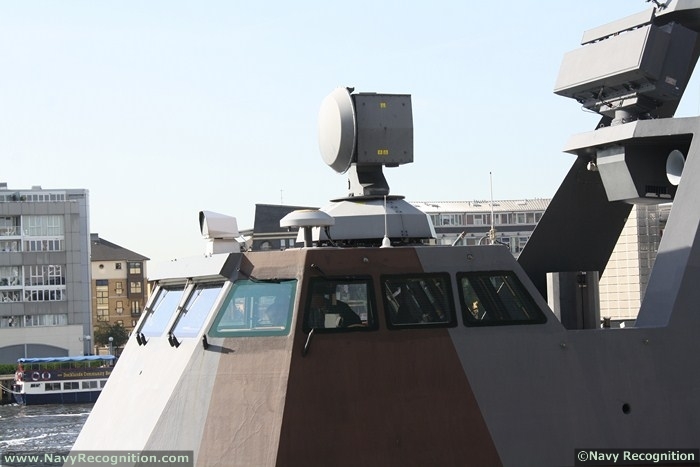 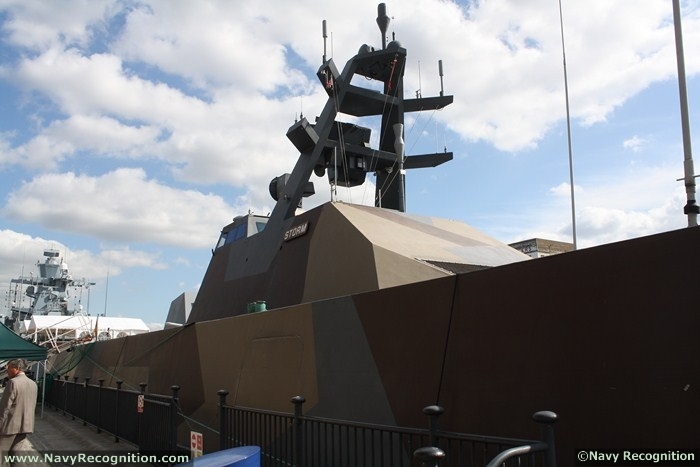 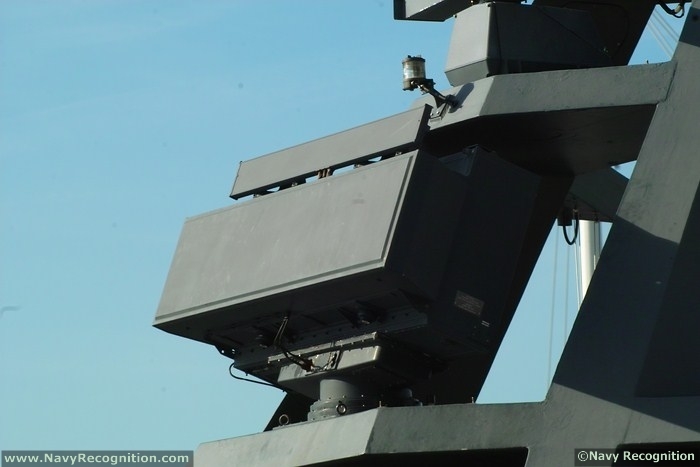 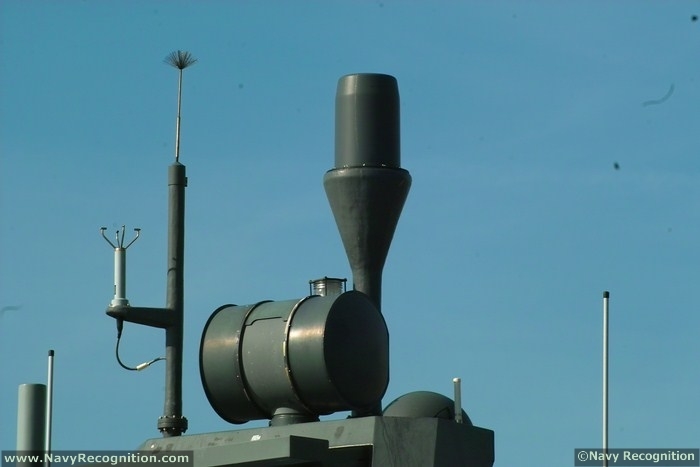 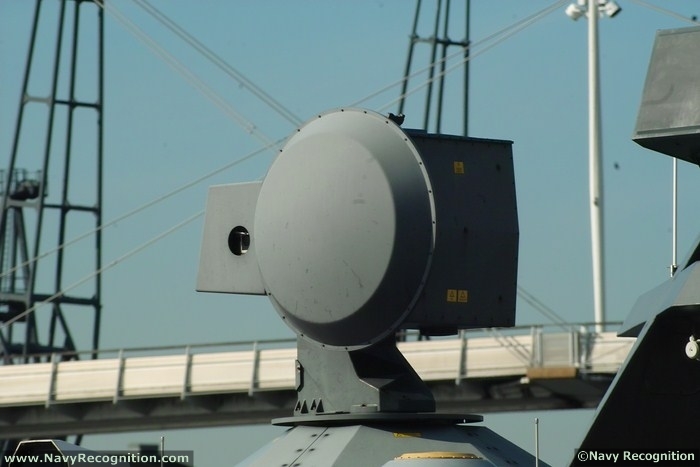 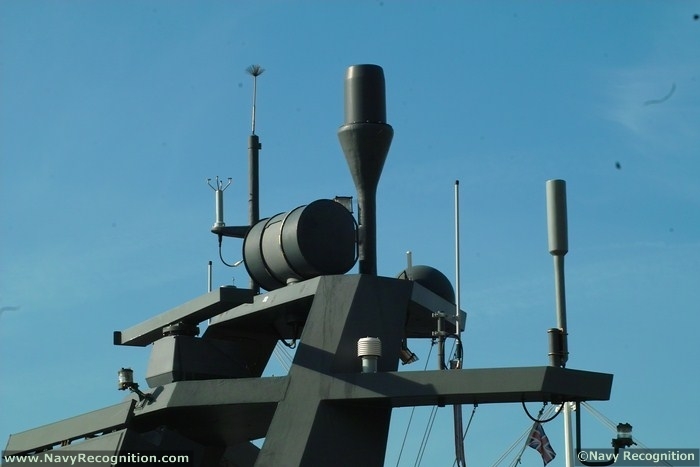 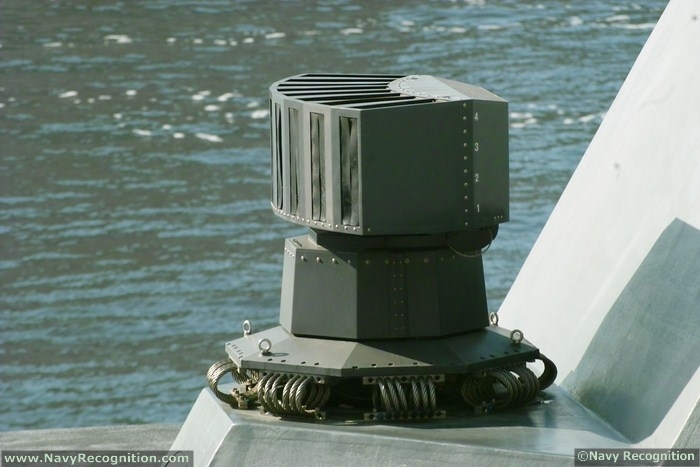 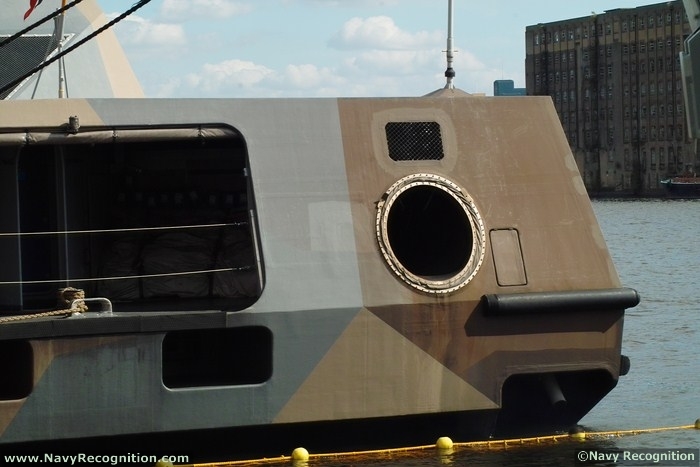 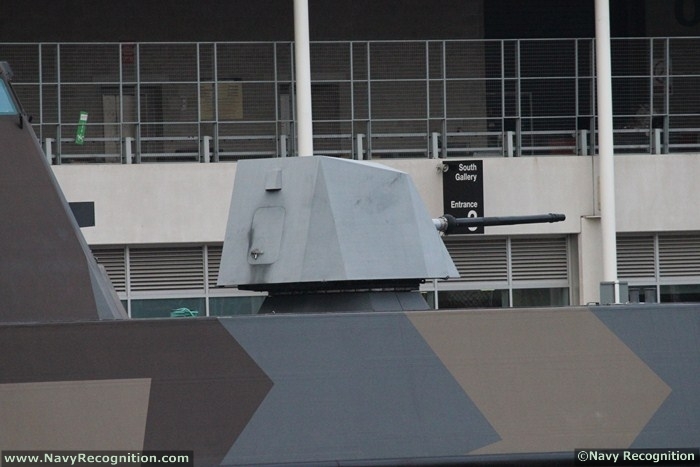 The same composite materials are also key to the ship's radar reflective and radar absorbent properties as well as reduced infrared and optical signatures. 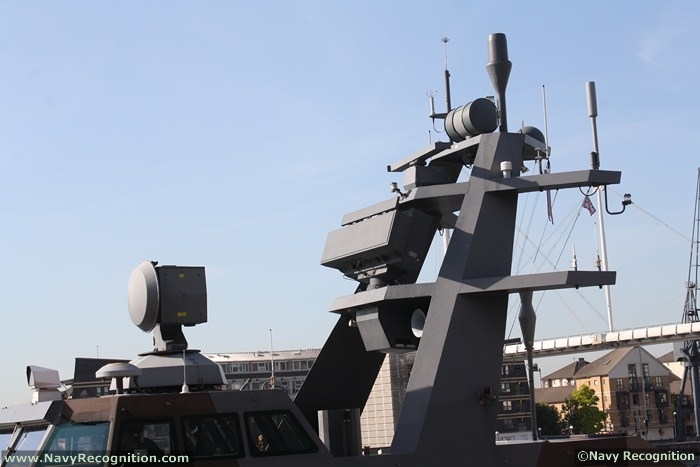 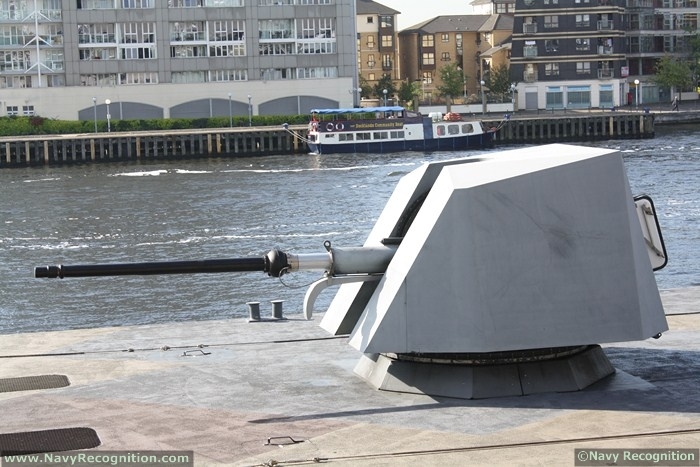 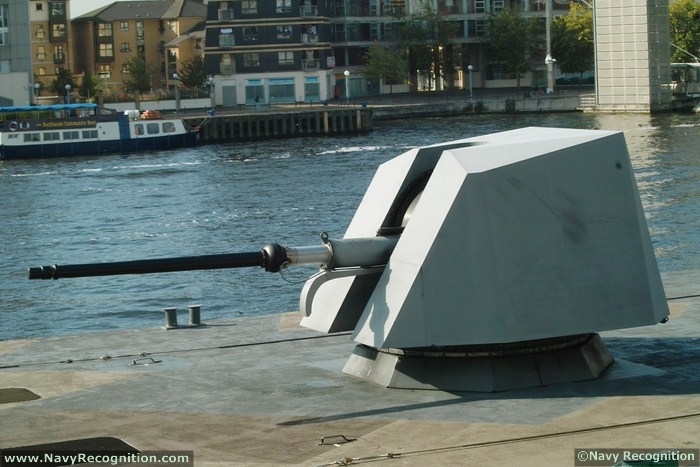 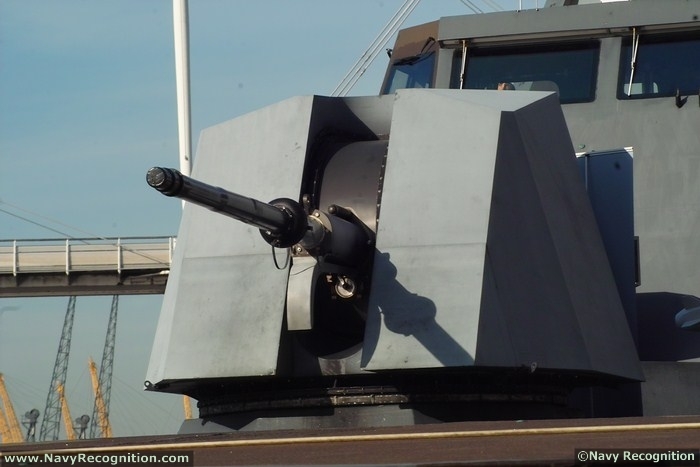 The ship is heavily armed for its displacement with eight Kongsberg NSM (Naval strike missile) anti-ship missiles, MBDA Mistral surface to air missiles and an Oto Melara 76mm Super Rapid gun. 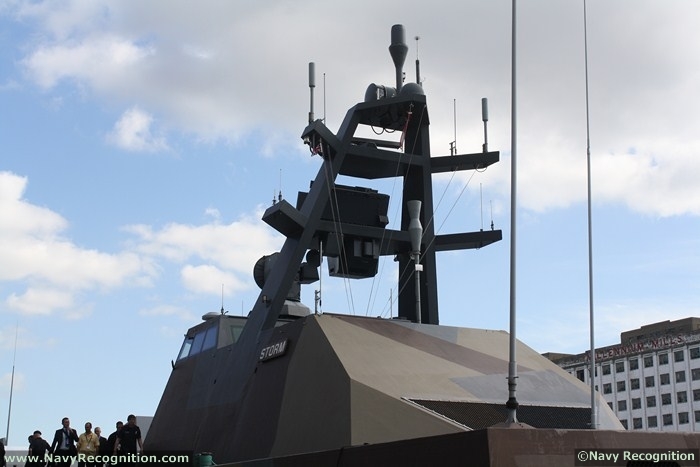 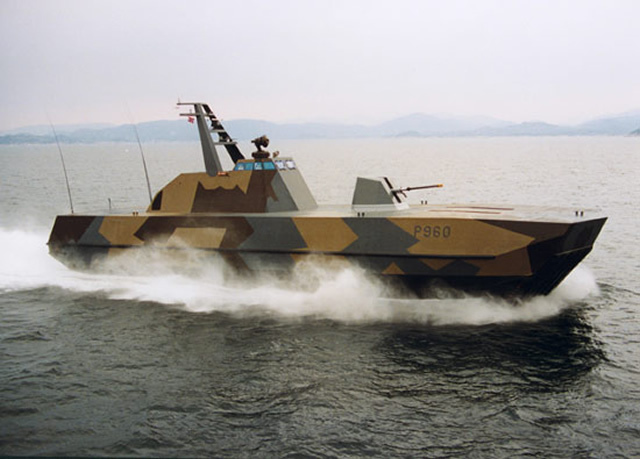 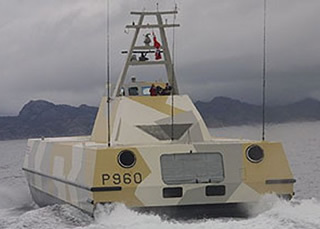 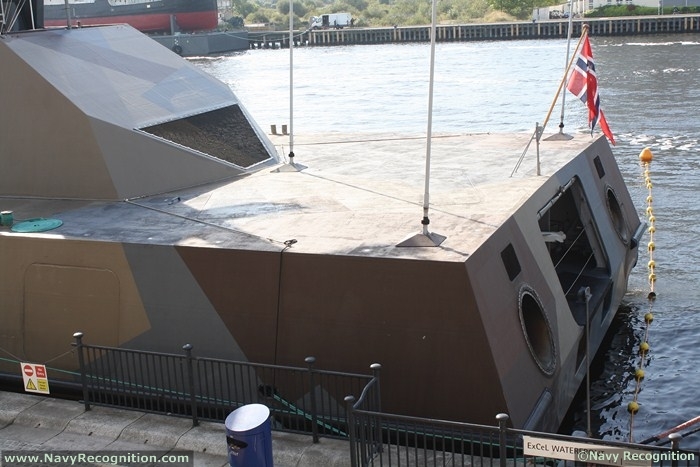 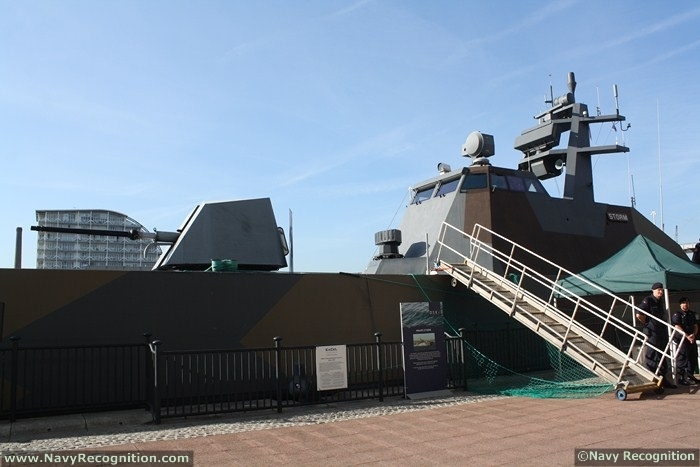 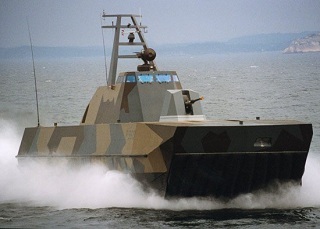 The head of class, Skjold was delivered to the Royal Norwegian Navy in April 1999.
l ift fans covered with radar absorbing grid/mesh.